I have known Adam for 6 or 7 years. We met while I was a bartender at Wheelhouse in Waupaca Wisconsin. At the time he worked in the kitchen – jealous of us rad bartenders he joined us in the front. I got to know him like a brother! I got to know Casey as she would pick him up after work. Anyone who can put up with Adam is a special person! 🙂 In all seriousness – these two make the best team! 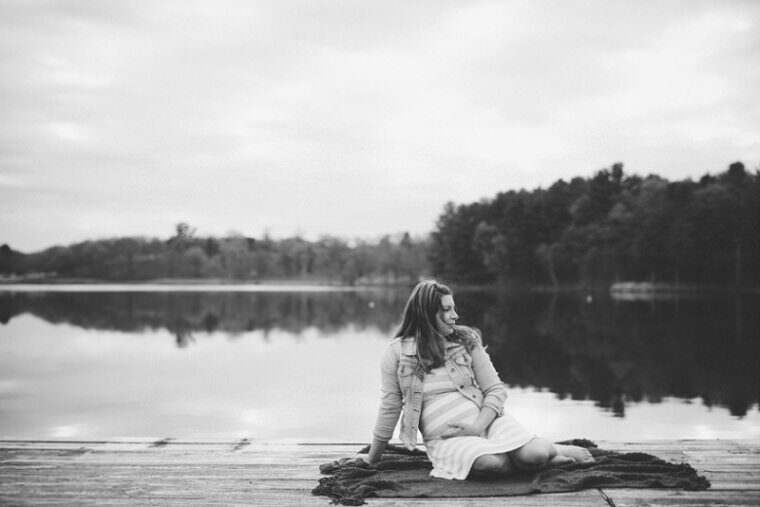 We drove to Waupaca to have their mini session down by South Park – a beautiful little lake! A lake we all remember swimming at when we were kids! 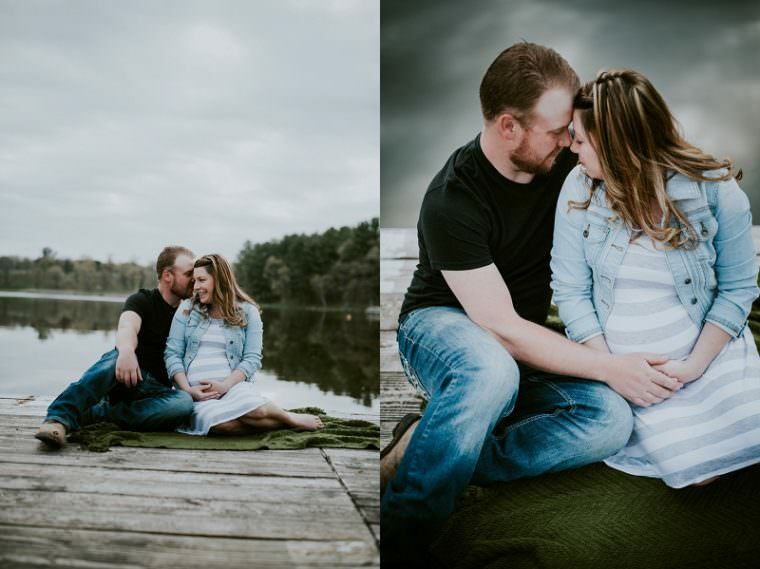 It was a dreary day, but perfect for their session! If you don’t know by now, days like this are my favorite! I am not sure exactly why, but they just are! We may have had one incident where Hurley chewed through his leash to try and get to us! We were on the floating dock at the time. Smart Dog! 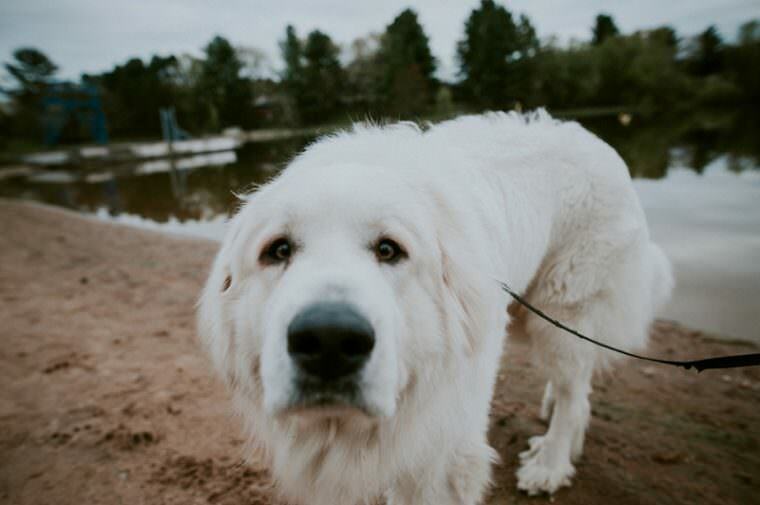 More sessions with Dogs, please! Cassie you look so beautiful! Adam & Hurley look so handsome too. And can’t wait to meet Little Man!! Love the pictures. Great pics guys!! Also Hurley is such a ham..
Love all of these! You two look stunning! Great pictures! Congratulations Cassie and Adam, oh yes, and Hurley! Congratulations Guys!!! Pics look GREAT!!! Congrats you two! 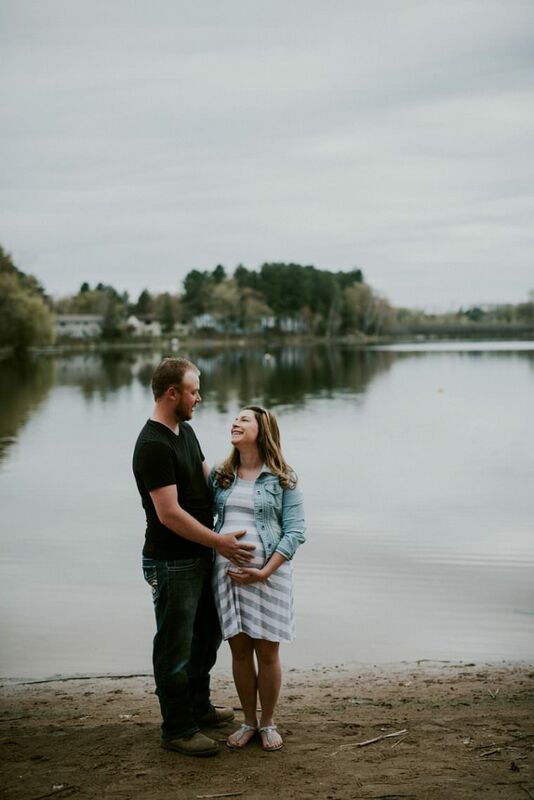 Mike and I were talking about getting family photos done with our dog too, yours turned out super cute! Our family needs to do a shoot with our lab! 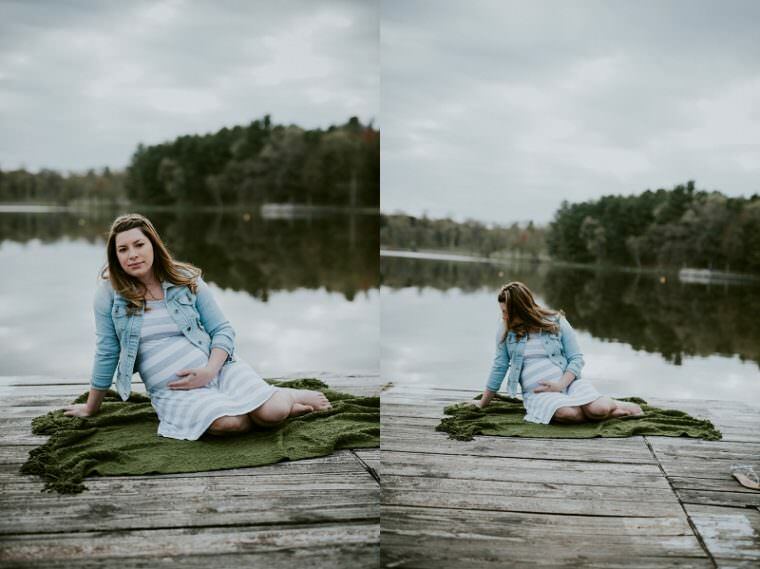 These photos look great!!! Beautiful as always. Congratulations on soon to be Parenthood. Such beautiful pictures. Congratulations on your expanding family!! Amazing pictures to look back on in the future! 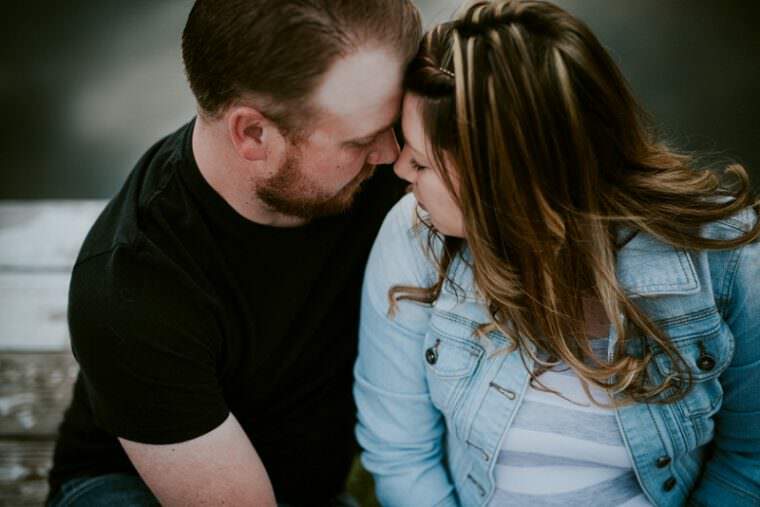 Congratulations…we’re looking forward to meeting ur little man!! 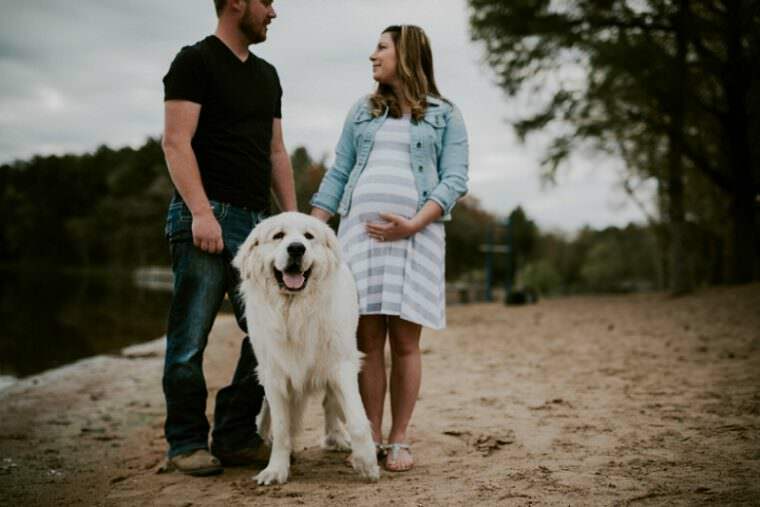 Beautiful photos of a dog and its soon to be bigger beautiful family! Beautiful pictures Cassie! Congrats and I wish you guys the best. 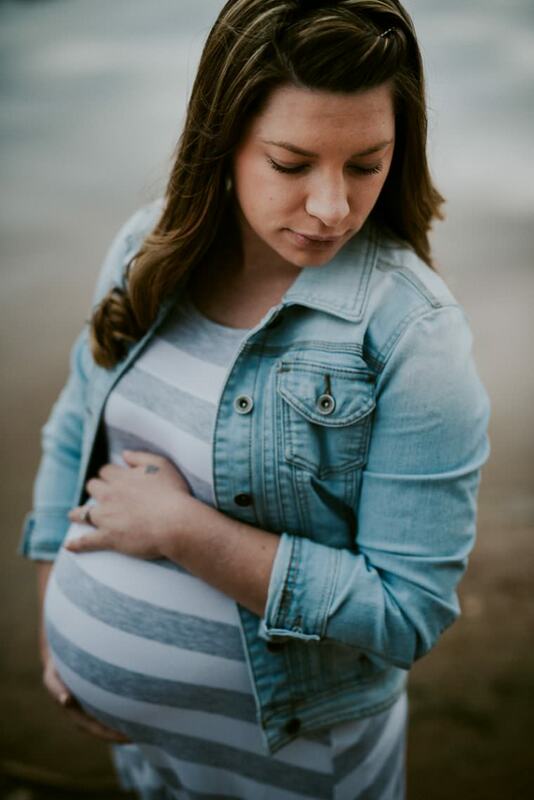 Beautiful pics, so anxiously awaiting the arrival of the newest addition to our ever growing Family! Cassie you look absolutely beautiful! Congratulations you guys!! 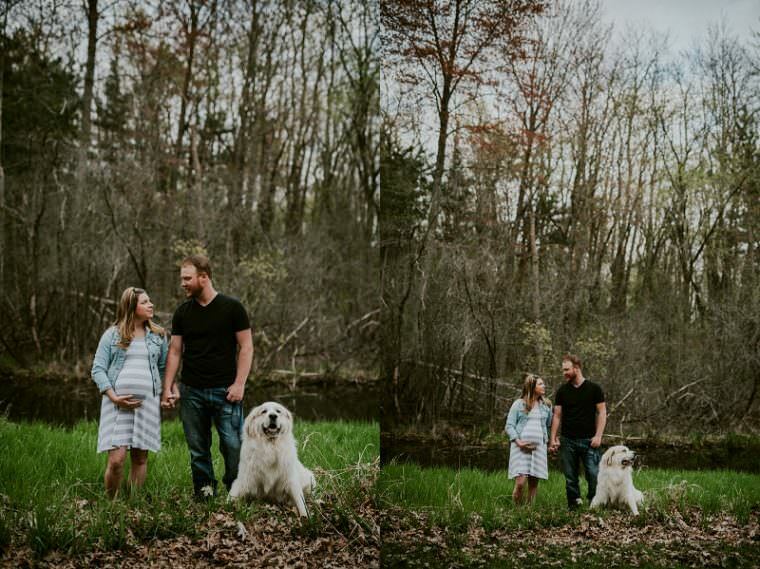 Beautiful Pictures of Adam, Cassie & Hurley!!! These pictures are so beautiful! !💖 Such a beautiful family. 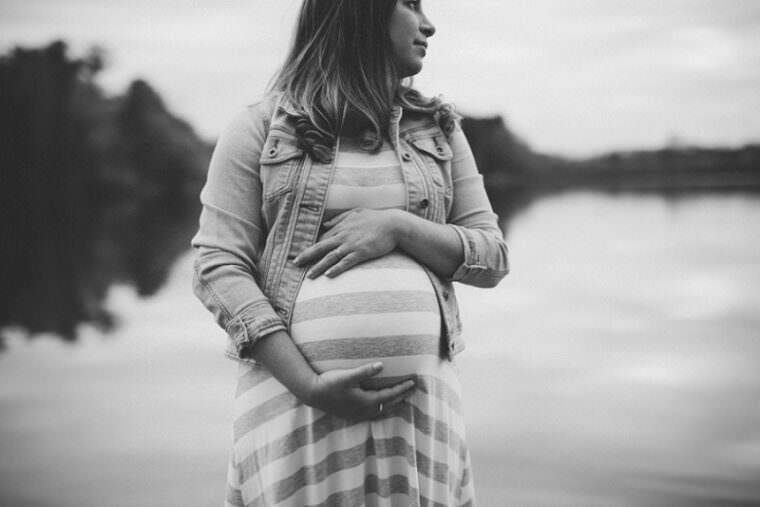 Can’t wait to meet your little man when he’s finally here!! !